Noticeable changes to our daily routines. No matter what your health goals for the new year are, it’s important to remember that every journey towards a healthier lifestyle has to start somewhere. That somewhere is often the same for everyone. Food. The truth of the matter is that most conventional cooking ingredients just aren’t that good for you. Luckily, there are small changes that you can make today that will make huge differences in not just your health, but also in your self-confidence. The healthier you are, the more self-confidence you will have. 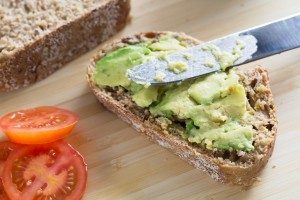 Here is a list of five cooking substitutes that you can use that can help start you on your journey to a better, healthier you this year. Essentially, white flour is nothing but starch and your body can have a hard time digesting it if you ingest too much. As a healthier alternative to white flour, try whole wheat flour. 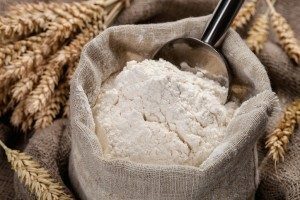 Most essential nutrients like fiber, folate and B-vitamins are maintained in whole wheat flour because it doesn’t go through the same refining process that white flour goes through. Coconut oil is a much healthier, and often tastier, substitute for most cooking oils. 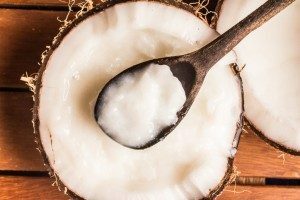 Coconut oil is packed full of what are called Medium-Chain Triglycerides (MCTs). These fatty acids are the good kind of fat that your body actually uses. Coconut oil can be easily used in baked goods and it can give sauteed foods a pleasant, slightly sweet taste. Another problem with sugar is that it doesn’t just affect us physically. It works its way into our minds so that we can easily become addicted to it. Applesauce is the complete opposite of most refined sugars. You might be saying to yourself, “They’re both sweet. Don’t both of them have sugar?” Yes and no. Applesauce contains the healthier version of sugar (called ribose) that your body actually uses for energy. 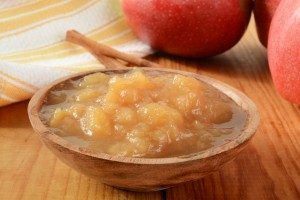 When you cook with applesauce, you still enjoy a certain level of sweetness without the risk of any potentially harmful side effects. texture really a good enough reason to put something that is full of saturated fats, calories, and sodium, on your sandwich? The answer is no. Especially when there are many healthier options available to you that taste so much better. Avocados are one of those options. When mashed, they can provide the same texture that mayonnaise does and you aren’t risking a heart attack when you eat it. 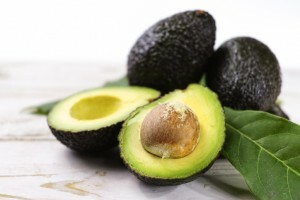 In fact, avocados contain tons of vitamins like folate, potassium, and vitamin C that actually help support healthy heart function. vegan source of omega-3 fatty acids and fiber, they also can absorb up to 10 times their own weight in water. They are a great egg substitute! 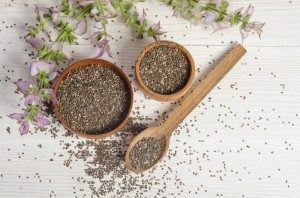 Grind the chia seeds into a meal in a blender or spice grinder. Add the water to a small bowl or cup. Add the chia seed meal and mix together with a whisk or fork. Let the mixture sit for 5 to 10 minutes so it develops a goopy texture similar to a raw egg. Warm water will speed up the mucilage forming process. Recipe provided by veganbaking.net. Change is hard for everyone, especially when it comes to changing our diets. The best kinds of change though are the ones that we can see results from. Here’s a challenge. Try two of these substitutes while cooking for the next 30 days. We promise you won’t regret it.